Harvey Coleman has been working for the Law Offices of Stefan Coleman from the firm’s beginning. 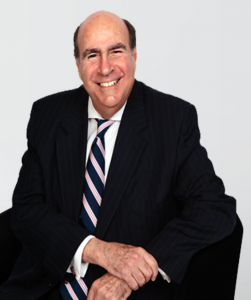 Harvey Coleman brings a lifetime of experience in litigation and trial experience. Harvey Coleman works out of the Virginia office and manages the cases in litigation. Harvey Coleman is a graduate of Georgetown University law school, one of the top law schools in the country. He is an active and good standing member of the Virginia bar. * Privacy Rights: protecting consumer privacy rights whose personal data whether it be credit card data, medical data, Internet browsing, or email data are leaked, stolen, or sold without the consumer’s consent. * Unfair Business Practices: Protecting consumers from unfair and deceptive practices of business to trick consumers into buying a product, up-selling them, or charging more for the item than advertised. * Telephone Consumer Protection: Stopping telemarketers from sending robocalls, text messages, or recording calls without the consumer’s consent. * Product Defects: Helping consumers recover money from companies that sell them a defective product that either does not work or does not work as advertised.